This is a very belated thank you to everyone who came to my January Open House. It was so fun to see old and new friends. I know several of you traveled some distance, and I really do appreciate you taking the time out of your weekend to visit. Also thanks to my college friend Jennifer Ewers who took on the job of photographer at the very last minute because I forgot about photos. "We see quilts in an anachronistic fashion — they are quaint. They’re of a different era. And yet I possess, and the Nebraska show is exhibiting, a quilt by the Amish that we estimate comes from the 1830s, which is 100 years in advance of some of the modernist geometric designs of Piet Mondrian, who we think of as the epitome of modernism. Here these Amish women in central Pennsylvania were doing something 100 years before Mondrian. I like that — it’s not so much a story as a question. Who are these people? Who made this?" Locally, there is a fantastic exhibit called "Piece Together: The Quilts of Mary Lee Bendolph" at the Mt. Holyoke College Art Museum. Bendolph is a Gee's Bend quilter whose work is full of improvisational surprises. Her quilts are inspiring and the exhibit is beautifully hung. 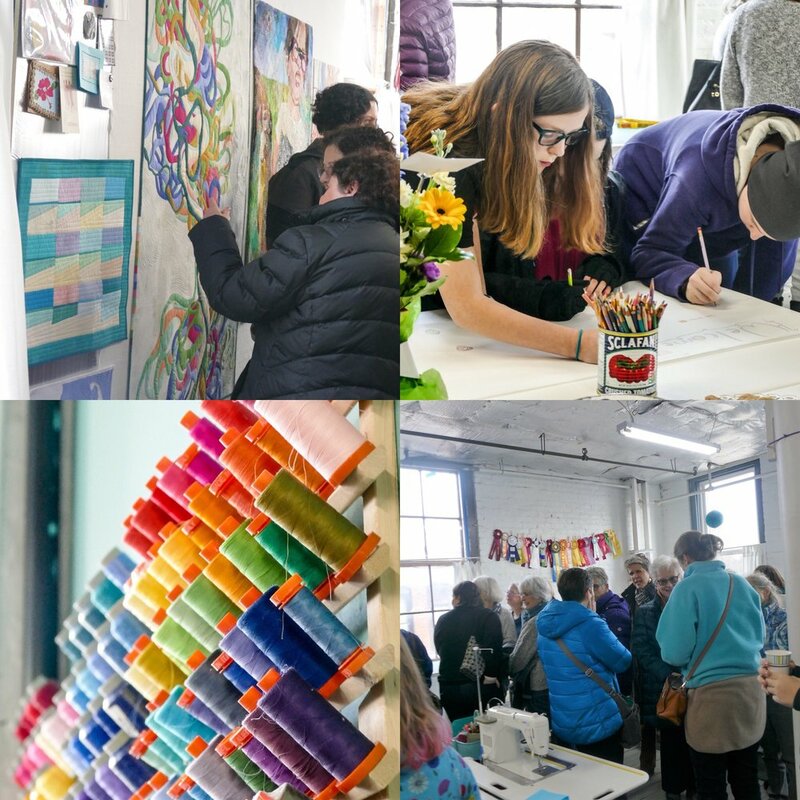 I have a new 8-week session of open studio style quilting classes beginning on March 9 at the Holyoke Creative Arts Center. Bring your project and I'll help you get it finished! Or at least cheer you on, along with a group of other fun and enthusiastic quilters.